Have you ever stopped, taken a step back, and asked yourself, "What the hell kind of a name is Arctic Monkeys?" We have. 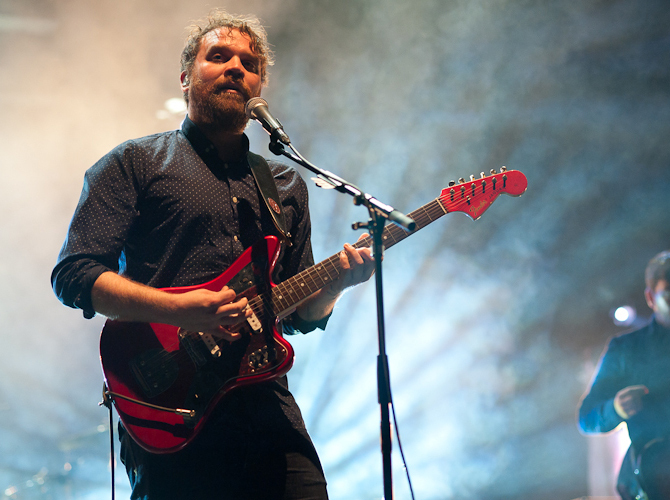 And we've done the same with Kasabian, Garbage, Wolf Alice, Fall Out Boy... Almost every band name, in fact, is pretty bizarre once you separate it from the people and the music with which you associate it. 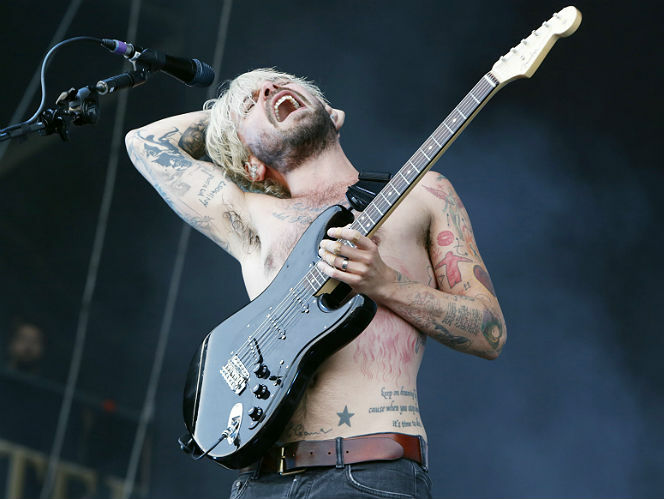 You don't have to wonder any more though - we've put together this handy guide to the names of some of the world's biggest and best bands. 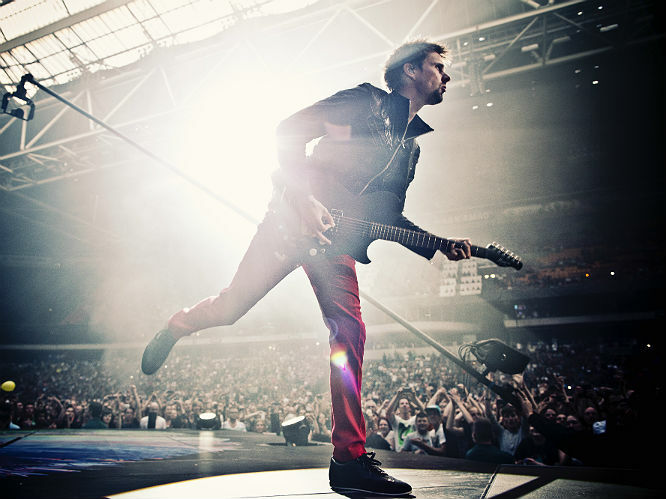 Muse: Matt Bellamy's art teacher Samuel Theoun once said that there was a strange muse around Teignmouth, inspiring a lot of young bands at the time. They also thought the name would look pretty cool on a poster. It does. 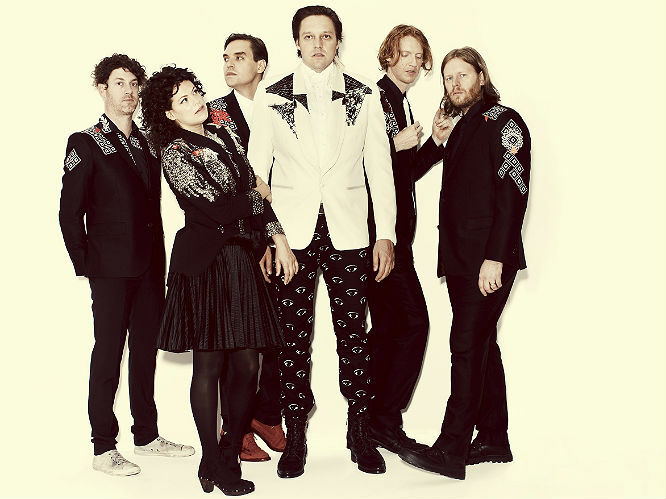 Arcade Fire: When asked by Rolling Stone if the band's name refers to an actual fire in an arcade, Win Butler replied: "It's not a rumour, it's based on a story that someone told me. It's not an actual event, but one that I took to be real. I would say that it's probably something that the kid made up, but at the time I believed him." 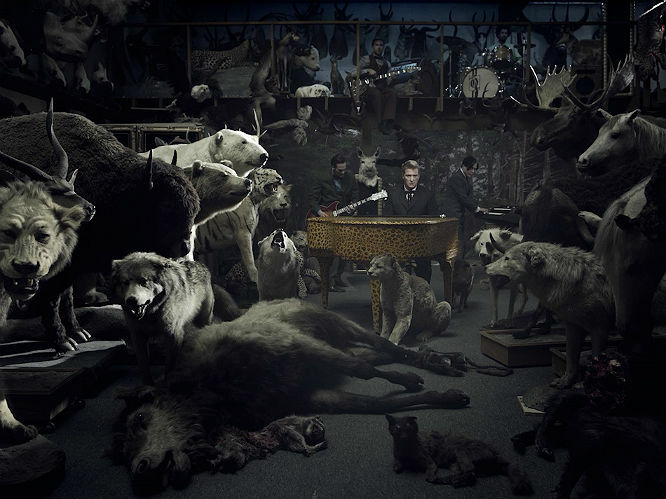 Queens Of The Stone Age: Josh Homme's post-Kyuss project was originally called Gamma Ray before a German metal band threated to sue. When asked why they were Queens of the Stone Age rather than Kings of the Stone Age, Homme replied: "Kings would be too macho. The Kings of the Stone Age wear armour and have axes and wrestle. The Queens of the Stone Age hang out with the Kings of the Stone Age's girlfriends when they wrestle, and also it was a name given to us by Chris Goss. He gave us the name Queens of the Stone Age. Rock should be heavy enough for the boys and sweet enough for the girls. That way everyone's happy and it's more of a party. Kings of the Stone Age is too lopsided." Arctic Monkeys: Simple one, this. 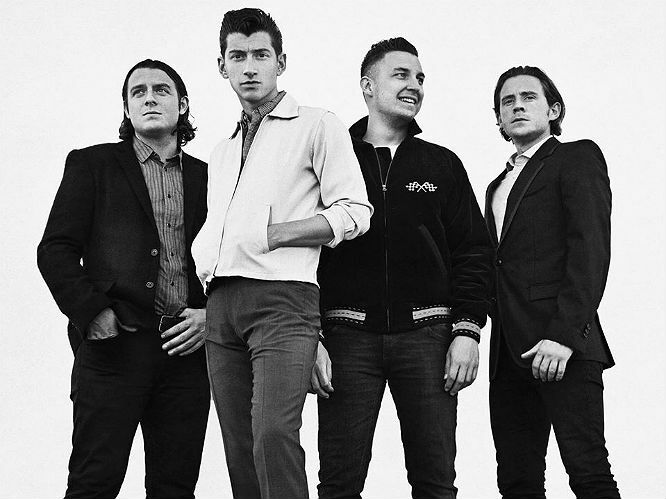 Guitarist Jamie Cook came up with it at secondary school, claiming he'd always wanted to be in a band called Arctic Monkeys. 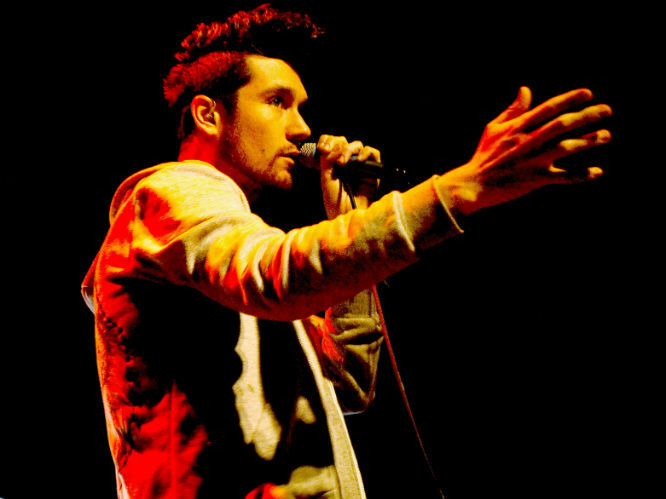 He's never explained why, and the band have since admitted it's a pretty terrible name. Punk poet John Cooper Clarke said he liked it though, so the band are pretty chuffed to have kept it. 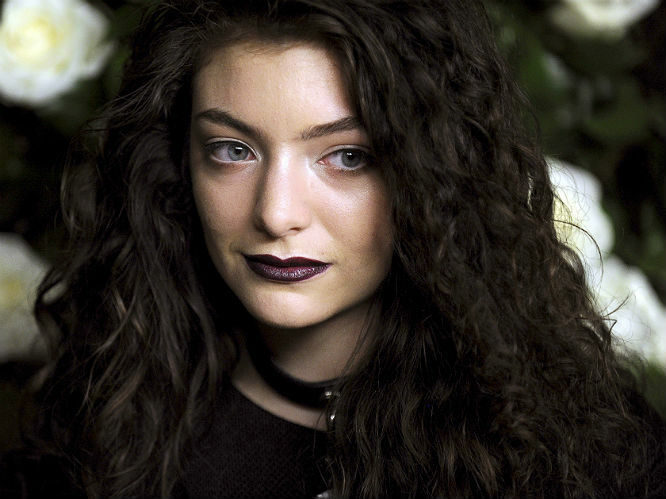 Lorde: Ella Marija Lani Yelich-O'Connor is a bit of a mouthful, so she settled on Lorde due to her fascination with "royals and aristocracy", but added an E to make it a bit more feminine. Lana Del Rey: Speaking to Vogue, Lizza Grant said: "I wanted a name I could shape the music towards. I was going to Miami quite a lot at the time, speaking a lot of Spanish with my friends from Cuba - Lana Del Rey reminded us of the glamour of the seaside. It sounded gorgeous coming off the tip of the tongue." 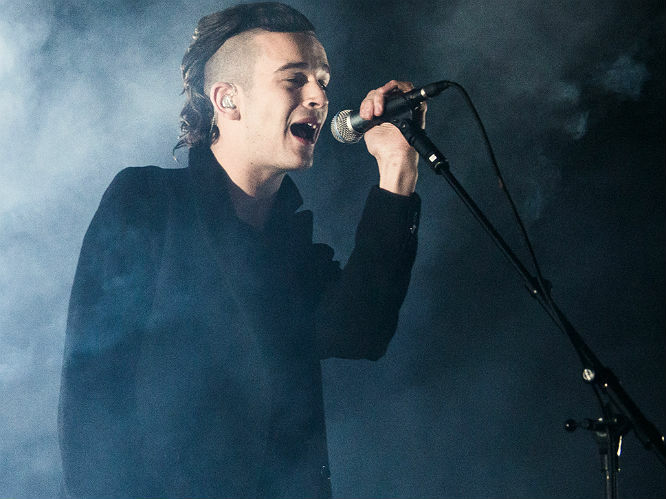 The 1975: After previously going under the names Talkhouse, The Slowdown, Bigsleep, and Drive Like I Do, they changed their name after frontman Matt Healy was inspired by the back page of an old Beat Poetry book dated "1 June, The 1975". The Weeknd: Abel Tesfaye's moniker came about when he dropped out of high school at the age of 17, when he simply "left one weekend and never came home." He had to alter the spelling so to avoid being sued by Canadian band, The Weekend. 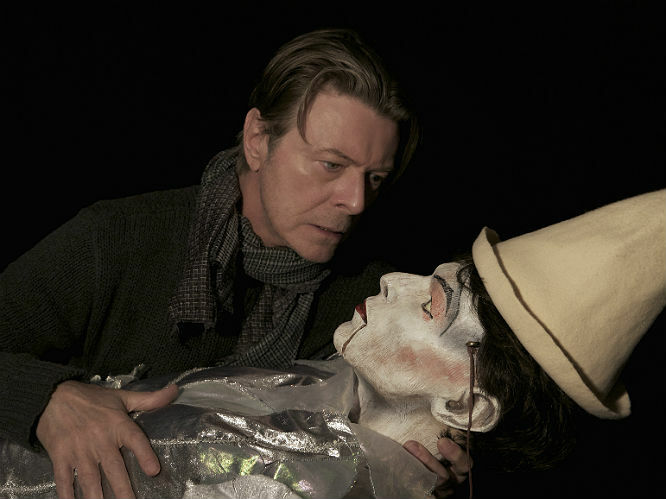 David Bowie: Bored of stage name Davy Jones, the Thin White Duke changed his name in the mid-1960s in honour of the 19th Century American frontiersman Jim Bowie and the knife he made famous. St Vincent: Annie Clark was once just a humble college rocker releasing the EP Ratsliveonnoevilstar under her own name before becoming a guitarist for The Polyphonic Spree and Sufjan Stevens. Then, she became the firecracker femme fatale known as St Vincent. Finding a name for her artistic alter-ego, Clark took inspiration from Saint Vincent's Catholic Medical Center where the Welsh poet Dylan Thomas died in 1953. "It's the place where poetry comes to die," she once said. "That's me." 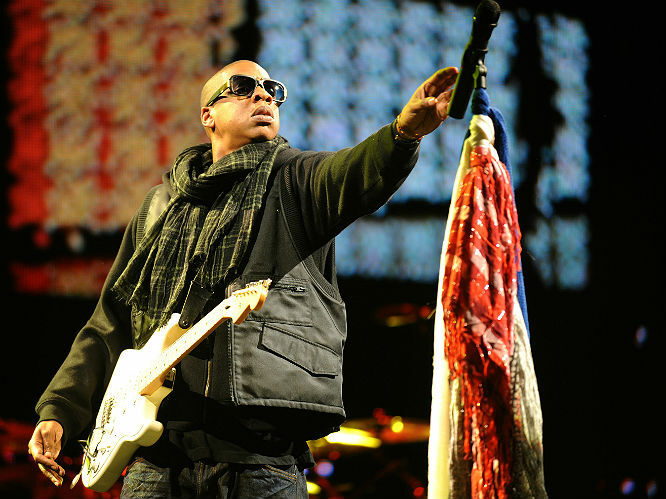 Jay Z: Shawn Corey Carter was known in his old Brooklyn neighbourhood as 'jazzy' - a moniker he later adapted. 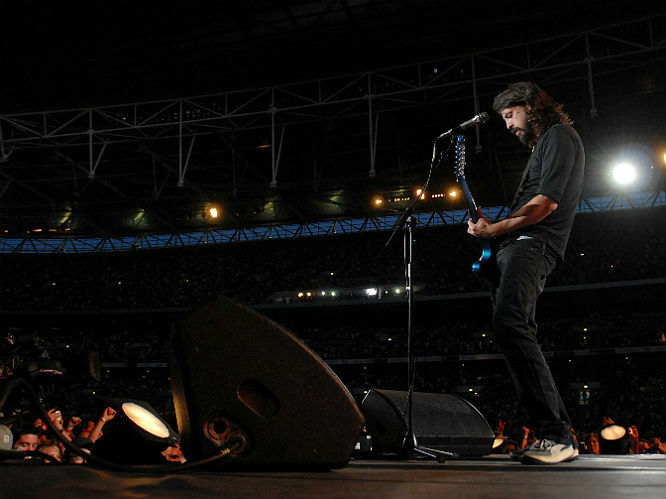 Foo Fighters: Dave Grohl and co got this now iconic name from UFOs reported by Allied aircraft pilots in World War II, which were known collectively as foo fighters. 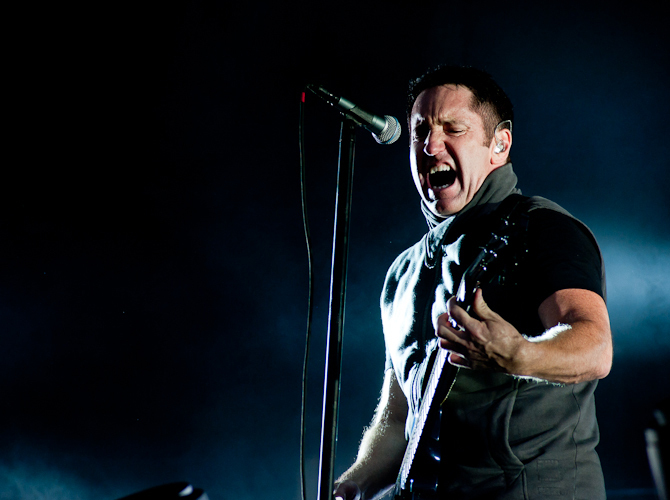 Nine Inch Nails: There have been plenty of rumours around where the NIN name came from (including reference to the crucifixion of Christ and Freddy Kreuger's finger nails), but Reznor himself has said it's because it "abbreviated easily", rather than for "any literal meaning"
Bastille: Another simple one here - the name of the band derives from Bastille Day – an event celebrated on frontman Dan Smith's birthday, 14 July. 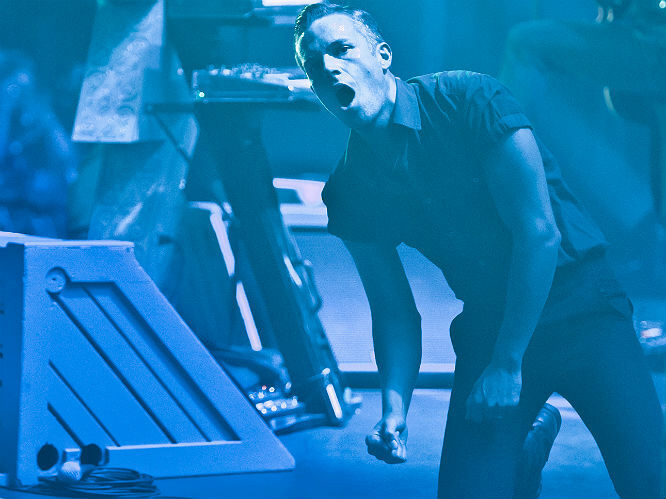 The Killers: This name was inspired by the name of a fictional band in New Order's video for 'Crystal'. 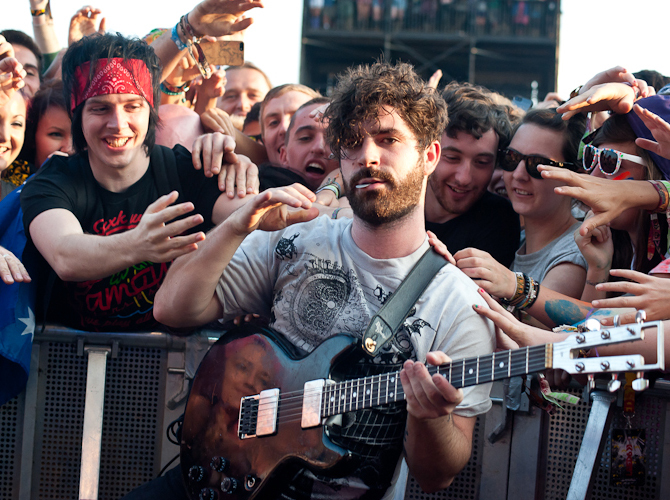 Foals: Frontman Yannis Phillipakis is quoted as saying: " Our friend came up with it and he's from Oxford. We were all friends before we played music together and we used to prat around and get in trouble back home. 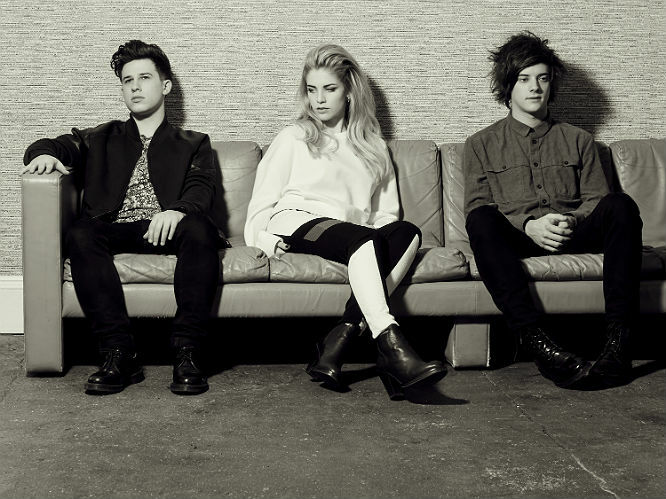 So he described us like a bunch of foals, like stinky, smelly, and, you know..."
London Grammar: The trio met in Nottingham, but explaining their name singer Hannah Reid said: "Not only was it where we’re from, but London is also so international and multicultural that it actually felt like quite a universal name in a way." 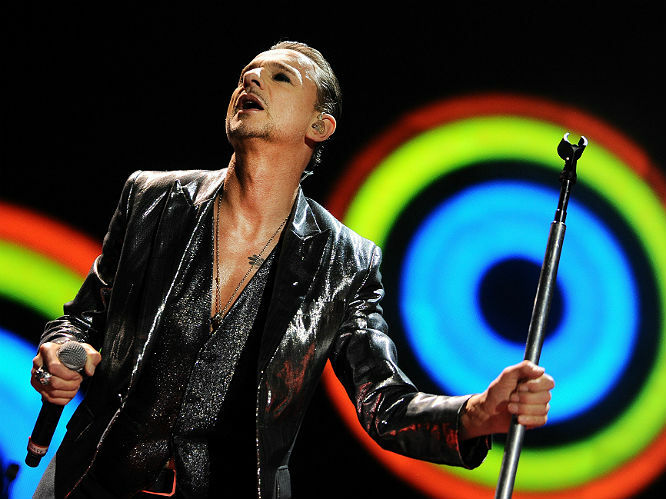 Depeche Mode: These synth-pop icons took their name taken from a French fashion magazine, Depeche mode (from French depeche that means here "dispatch" (from Old French despesche/despeche) or "news report", and mode that means "fashion"). Songwriter and guitarist Martin Gore later said: "It means hurried fashion or fashion dispatch. I like the sound of that." 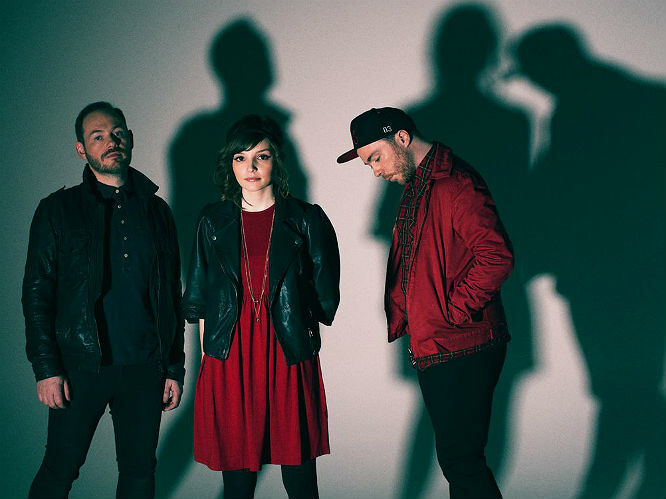 Chvrches: These brilliant guys say they chose the name Chvrches, using a Roman "v" to avoid confusions with actual churches on internet searches, but added that the name has "has no religious connotation, we just thought it sounded cool". 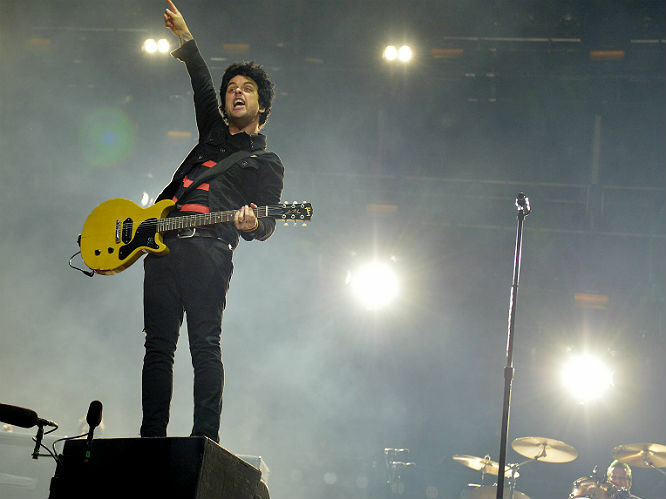 Green Day: Legend has it that this one is simply down to Billie Joe, Mike and Tre's love of marijuana. 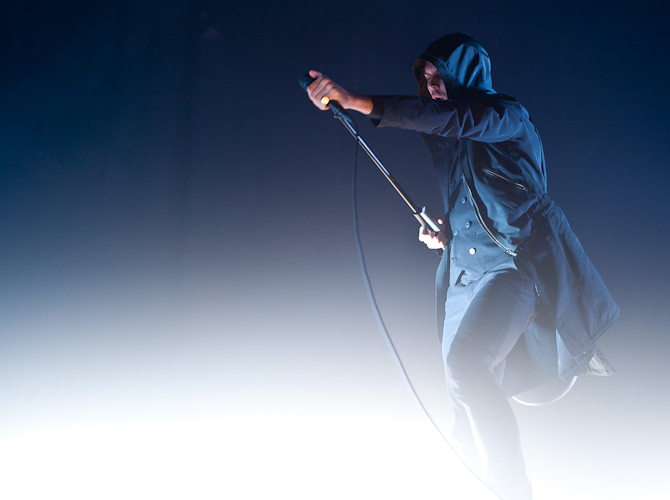 Hurts: Changing their name after the demise of former band Daggers, keyboardist and guitarist Adam Anderson explains: " It suited our lives really because we were hurting a little bit. So, it seemed perfect. And overnight, we finished one project and we started another one." 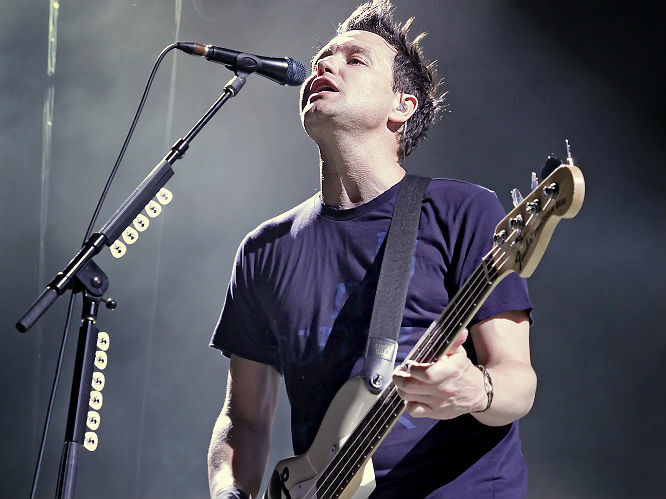 Blink 182: The band were originally called Duck Tape and Figure 8, until Tom DeLonge rechristened the band 'Blink'. They added '182' as a random number to avoid legal action from an Irish punk band of the same name. 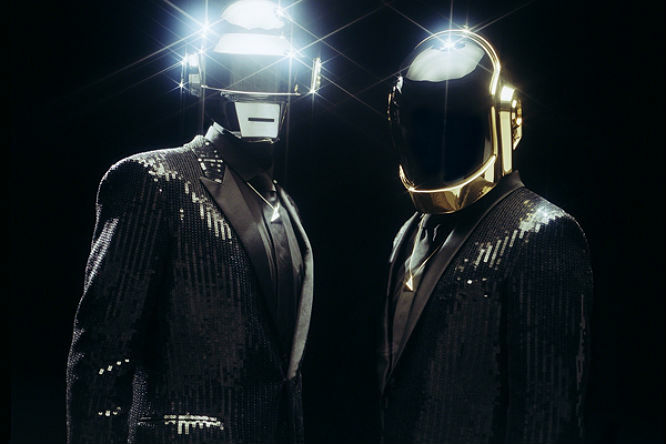 Daft Punk: The duo were previously in a band called Darlin', who Melody Maker once reviewed as 'a daft punky thrash'. 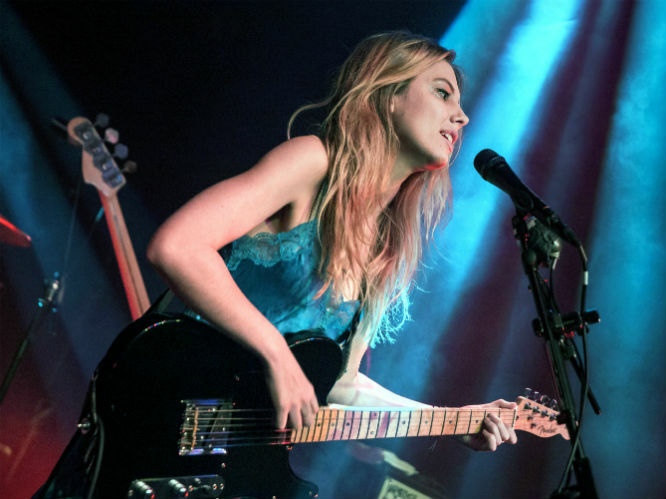 Wolf Alice: This name comes from a short story of the same name by Angela Carter. Based on an obscure variant on Little Red Riding Hood, Wolf-Alice tells the story of a feral child who is left in the house of a vampiric duke when she can't be "civilised" by a group of nuns. 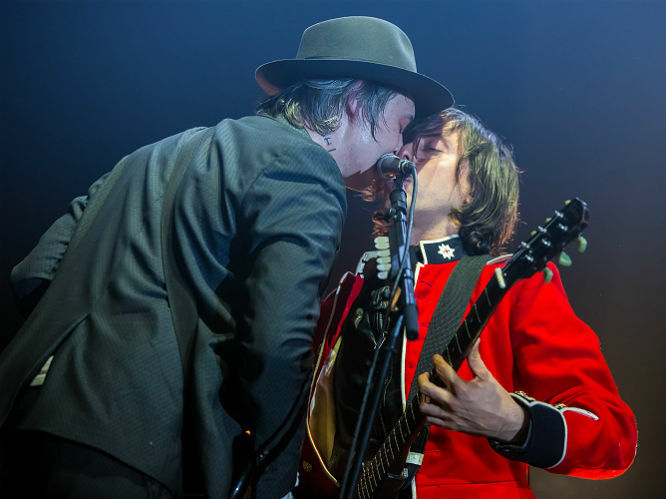 The Libertines: After considering, but ultimately rejecting, the name Albion (an archaic name for Britain) the band eventually named themselves after the Marquis de Sade's Lusts of the Libertines - which was first published as part of his novel The 120 Days of Sodom. Garbage: This one really couldn't be simpler. In the band's early days, a particularly unkind acquaintance commented that their music sounded "like garbage." They decided to own it. 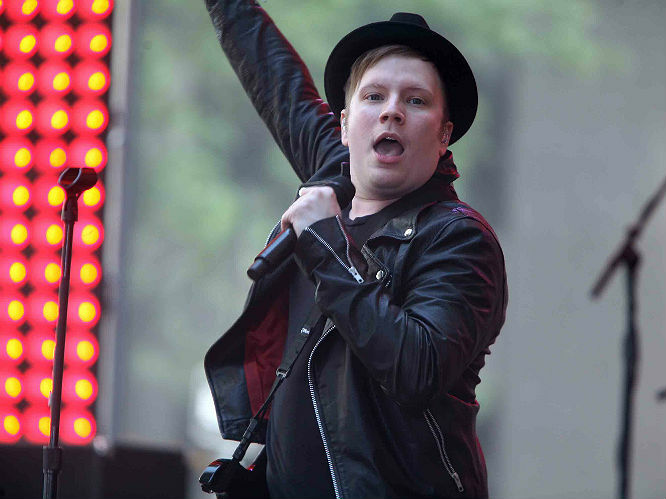 Fall Out Boy: During the band's second ever show, still without a name, they asked the audience to shout out their ideas. One attendee suggested Fallout Boy, referring to the sidekick of Simpsons comic book superhero Radioactive Man. The band liked it. 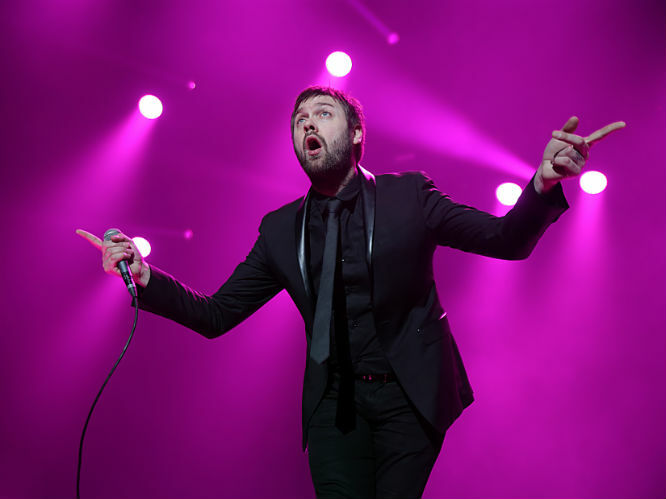 Kasabian: A particularly grim etymology, Kasabian were named after Linda Kasabian, a member of the Manson family who served as a getaway driver for Charles Manson's murders. Linda Kasabian is said to be the only member of the cult who expressed remorse for the victims.